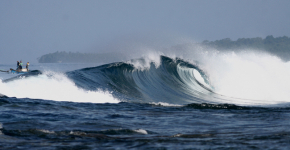 The coastline of the Krui region of southern Sumatra rivals any part of Indonesia in terms of consistency and quality of waves. So why haven’t you heard of it? The “downside” for some people is that the major surf zones are rather spread apart (30-45 mins. between the big spots), the closest airport is a 6 hour drive, and there still isn’t an established surf map as this area is still pretty un-explored. 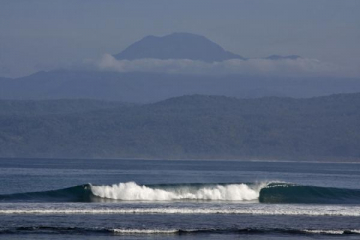 The obvious upside to those problems is a pristine Indonesian jungle teeming with waves that are still relatively un-crowded. Trust us, the good outweighs the bad. Come surf in krui with Paradise surf camp. 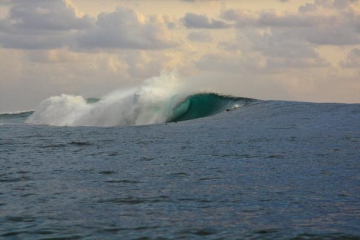 We fill up quick, check availability for your next Indo trip now! Often incorrectly referred to as Karang Nyimbor, Paradise Surf Camp sits on the beach overlooking this excellent left point. 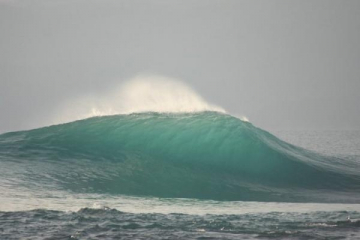 Often compared to Uluwatu, Ujung Bocur is a long, consistent lefthander with alternating barrel and turn sections. On its day, it can provide fun barrels and long, fast 200m+ rides. Ujung is consistent and pretty much always has a wave, though it’s hollower and a bit more challenging at low tide. As it sits closest to the camps, this wave gets the most crowded. Distance from Paradise: 3 minute walk up the beach. 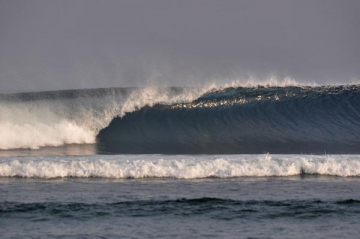 Often referred to as 'The Sumatran Pipeline' by visiting surfers or 'absolute evil' by the local fishermen, Way Jambu offers experienced surfers the barrel of their lives. Heavy, critical take-off into a top-to-bottom barrel. Easy, right? Has been featured as a secret spot in several videos. A must check, for sure. Distance from Paradise: 15 minute drive south. The waves in the actual town of Krui require a pretty macking swell to get going, but once they do, be on it. 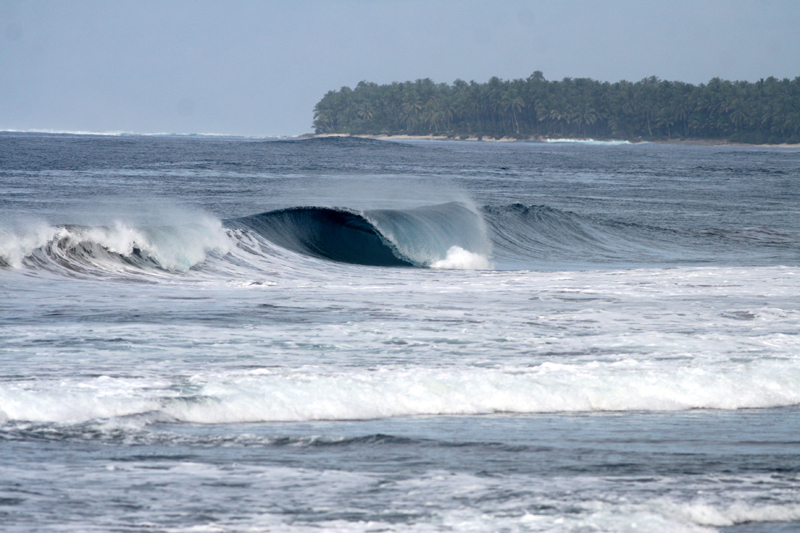 The left is often compared to Bingin on Bali with a less consequential reef and the right offers long rippable walls and the odd barrel. 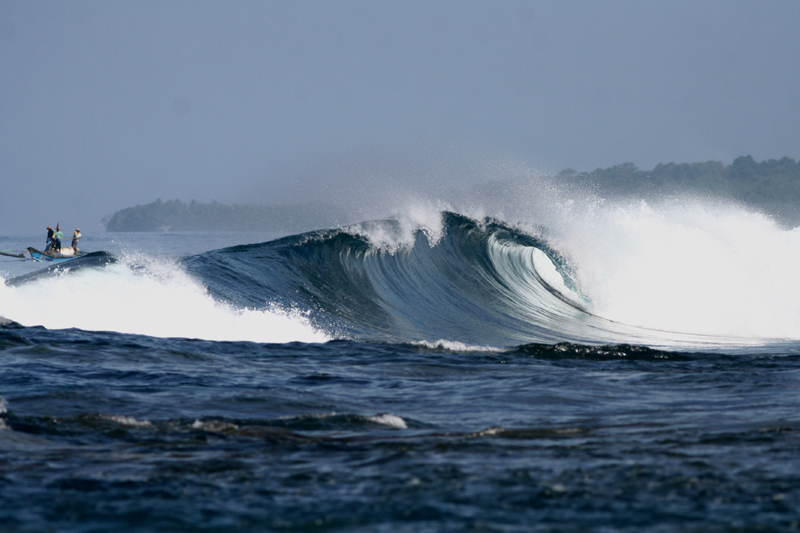 When Ujung Bocur is huge or the swell direction is just right, these waves are some of the best in the area. One recent guest called the Krui Left 'Barrel School' because it's so mechanical and fun. Distance from Paradise: 30 minute drive north. Located just over an hour from the camp, Jimmy’s is one of the areas premiere waves. If the wind is on/side shore at Ujung or in Krui, cruise to Jimmy’s and enjoy either a long, hollow challenging left or a sucking, slightly less hollow right. Both break off the headland facing an amazing stretch of white sand beach. Distance from Paradise: 30 minute drive north. A huge stretch of beachie just west of camp that is almost always fun and can get epic. Drive up and pick an empty peak. Hardly ever flat. Distance from Paradise: 15 minute drive north. Located just south of Krui Left and directly in front of Secret Sumatra, The Peak is a short right tube that fizzles out into deep water. Drop in, get barreled, repeat. Like the other Krui waves, needs a big swell to get going! Also popular with the body board crowd. Distance from Paradise: 30 mins drive north. There's waves everywhere. Bali Village to the south, Jennys, the beachies near the sunken ship, Banana island, and all of the ones that no one has named yet. Make friends with the other people in camp, compare notes, hire a guide, or get out on the bikes and explore! Here's even more Krui wave photos sent over from our resident Portuguese friends Rita and Romeu!